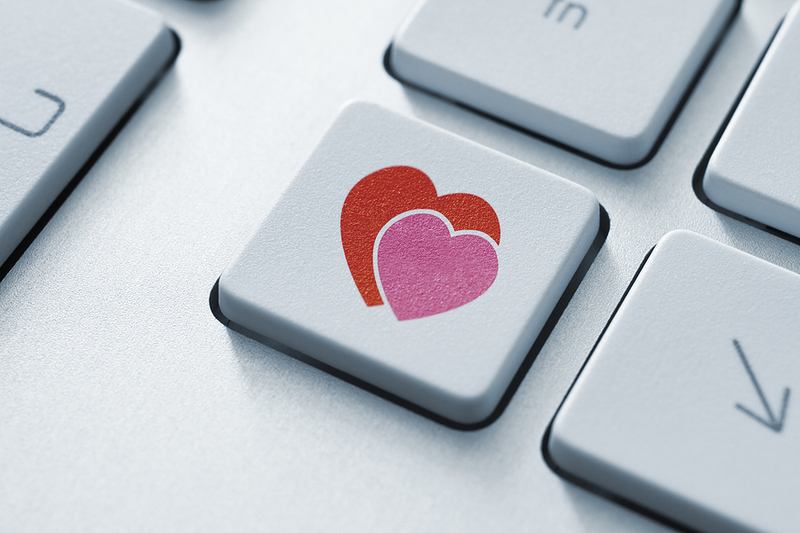 Let’s talk about online dating and safety. Like most things in life, it involves some risks. For most of the time the risks are very small. We do our utmost for keep our members safe but we need our members to be aware and the things that they can do to keep things in check. Seems like an obvious one but it bears repeating. Keep your personal details private. Stay away from using your personal email or even work email which uses your real name. It’s safer to sign up for a free email account and giving yourself a funny email nickname like LordLoL. Okay, this one was a rubbish example, but you get the idea. Just have fun with it. Use online aliases wherever you can and only share your first name and the county you live in. Many dating sites let you chat with other members, thereby protecting your anonymity. Online privacy doesn’t not stop with your email address. Check your social media profiles and make sure you understand the provider’s privacy settings and change these to keep things hidden from strangers. You would be surprised how many people still share all their details publicly and for anyone to see. There are now lots dating websites out there and it’s important you choose the one that suits your needs and likes. We advise you to do your homework before signing up. Read their terms and conditions, understand their billing if it’s a chargeable service, talk with others who have used the site and check out the sites reputation via social media sites or search engines. Rule of thumb is a good provider has transparent business practices and is quick to resolve problems. If you have been communicating with someone online and you feel comfortable pursuing the relationship, the next logical step is to speak with them directly – either over the phone or via webchat. This will allow you to get to know the person further. Do you like the sound of their voice, do you find it easy to talk to them? Is there chemistry? Just remember to continue to keep your personal details private. Being online often gives a false sense of familiarity and people start to trust others more quickly, resulting in faster moving courtships. That’s not necessarily a bad thing but if you are the type of person who likes to take things slower it can make you feel uncomfortable. Make it clear to the other person and set boundaries. If they continue to pressurise you, break it off. Always trust your instincts. Do you feel comfortable with this person, or did they seem overly pushy to meet you in person? Do you believe they are who they say they are? Do you feel this could develop into a potential relationship? If not, what are your reasons for meeting this person? If you aren’t ready to meet, then don’t. Chances are there’s a reason why you feel the way you do, so give yourself more time or call it off altogether. Make your own way there and back home as well. Pre-book a taxi if necessary. Tell a friend or family member where you are going, who you are going with and what time they ought to expect you back home. If it would make you feel more comfortable, why not ask a friend to sit at a nearby table to keep an eye on you? Take your mobile phone with you and make sure it’s fully charged. Never leave your food or drink unattended. Your date has come to an end and when it’s time to leave, do so on your own. Graciously decline offers of sharing a cab or getting a lift home. Avoid going straight home if you can, instead you might drive via the shops or another public place first. Dating is and should be fun, just remember in all matters of the heart keep your mind switched on as well.